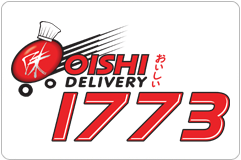 In Y2000, Oishi Restaurant Company started its operation with 10 million baht investment (The company has changed the name, thereafter, to be Oishi Group Plc. Ltd.). As being very well receptive, the business has expanded dramatically within Bangkok area. With the vision about the business potential, the company has enlarged its base by increasing number of outlet and brands of food and bakery to fulfill different market needs. Opened November 26, 2004 on the 2nd floor of Siam Discovery. The restaurant comprises of high class hotel ambience and up to 150 rare menus made from imported ingredients. It is opened to service twice a day from 11am. until 3pm. and 4pm. until 10am. The charge is 650++ baht per person and 850++ baht per person respectively. 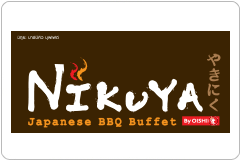 The company introduced the first ever Japanese buffet restaurant in Thailand with the concept “All you can eat but pay what you have left”. 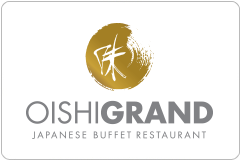 The business is differentiated from other buffet restaurants with more menu variety of 150 items including Japanese, Chinese and European food with the proportion 70:20:10 respectively. In special occasion, the restaurant will offer premium and rare food to add variety and value to consumers according to the policy to offer good food quality, service quality and value for money to customers. Despite the concept of all you can eat, the restaurant sets the rule to fine those who leave uneaten food. This is to initiate a good buffet tradition that is to prevent waste from buffet. This good will benefits not only to the company, but also to consumers and for natural resource economy. 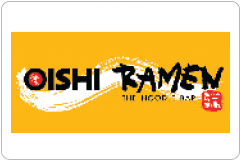 The brand operates Japanese noodle, called ramen, which the recipe has been developed for its uniqueness of noodle and soup to fit with Thai taste. Both Thai and Japanese styles are offering with over 50 menus. Aside from ramen, a variety of Japanese sushi menus and other A La Carte menus, including desserts are available. The company selects high quality of food ingredients and soup recipe in order to provide the customers with delicate noodles and mellow- tasting soup. Fine machinery are used in nearly every production process to guarantee hygiene to the target market i.e. white collars, teenagers and university students. 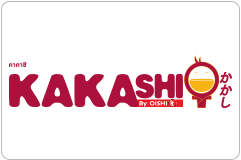 At present, 24 OISHI Ramen outlets are operating in leading department stores in both Bangkok and provincial areas such as Pattaya, Chiang Mai and Phuket. The brand offers buffet on food conveyor at economy price. The focus is on middle income group. 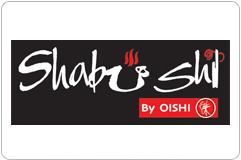 Shabushi by OISHI offers 2 Asian’s popular menus, which are Shabu-Shabu and Sushi. Currently, there are 14 branches (October 31, 2007 Update) in Bangkok with 219++ baht each. The restaurants open daily with 1.15 hrs limited to each session. Extra 20 baht is charged for additional 10 minutes for each person. This is to increase turnover rate due to seating limitation. 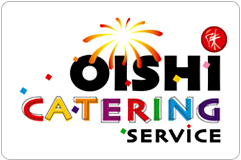 Catering service for parties like wedding party, engagement party and seminar. It offers full catering service with experts and necessary facilities. 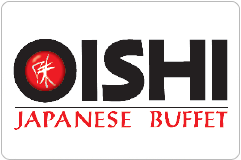 Various foods offered are from various restaurants in OISHI network. There is also a rental area on the 3rd floor at Log Home tower for 50-300 seats for any party. Delivery service with Tel No. 02 712 3456 from 10.00-21.00 hrs. to offer more convenience to consumers. Minimum price is at 200 baht and 20 baht charged for delivery service. 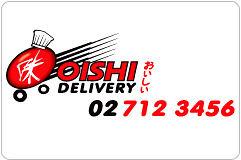 Free of delivery service charge for any order over 300 baht.